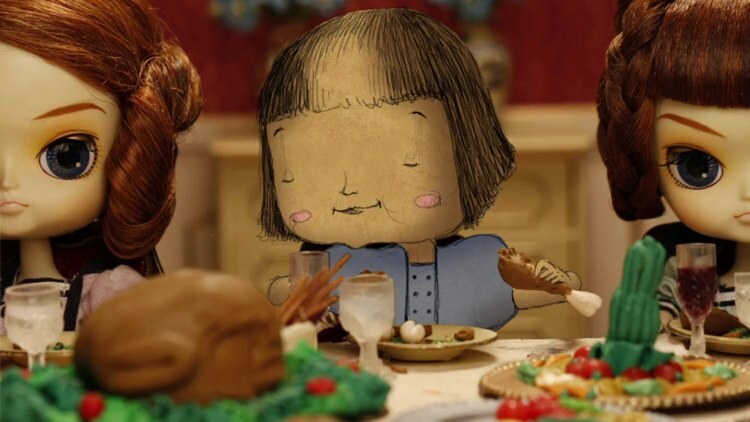 Heartburn is a wonderfully charming, stop motion thesis project about a girl at odds with polite society, from a team of students (Giulia Barelli, Valentina Branchetti, Benedetta Cariani, Eleonora Gambula, Julie Luchsinger, Laila Sonsino & Alessandra Todaro) at the European Institute of Design. In a sumptuous room an old clock doesn’t get tired of counting the passage of time. Sitting along the table there is a wholly stunned society that, instead of talking vivaciously, takes advantage of the lunch time almost as a rigorous march. Among the recruited commensals, there is also a young cadet, Alma, who, with her jaunty attitude, doesn’t seem too much predisposed to follow the dictated choreography but, on the contrary, she shows herself more intent on distorting it. Will Alma’s fiery instinct able to melt the cold and rigid clichè that, in and out, surround her?